Need a new key - does only Chrysler dealership do this? I'm down to only my set of keys and I have a remote keyless entry fob and a key to my 2003 PT Cruiser. The missing key chain has a remote fob that we bought off eBay and never were able to program to get it to work even though we followed the instructions in the manual. That key worked just fine to unlock the door and start the engine. The alarm never went off when using that even if I had last used the car and used my remote fob to lock up. These keys have a chip in them don't they? I'm thinking the Chrysler dealership is the only place to get a replacement key. I suppose they could do the remote fob too. I'm just thinking back to when I had to get the Pontiac dealership to get me a new remote and key for a Vibe I used to have and that cost over $200 - YIKES! I don't have the money to do that again. I've bought a club for the steering wheel so at least I have some peace of mind that whoever has the other set of keys can't steal the car. Any suggestions on how to keep my costs down? I want another key in case I lose the one I have now. Thanks! Re: Need a new key - does only Chrysler dealership do this? i don't know about where you are Canada i presume. here in the states ace hardware can clone your key for about 85 bux. i believe lowes as well as homedepot have cloning machines too. as far as the fob, get another one off ebay and try to program it. don't know why you couldn't program the other one you had. Many locksmith shops can make a transponder key for you at less cost than at the dealership. I think your best bet is to take it to the local Chrysler Dealership . They program it to your ECM and if t fails you can go back to them .TMHO! These keys have a chip in them don't they? 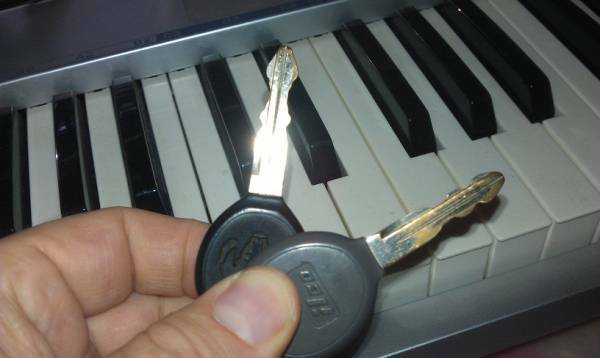 if you have a black key there is NO CHIP and you can get a new one from the hardware store for $2. Last edited by rob342; 06 Dec 2013 at 02:04 pm. i, too, have a black key. it is nice. 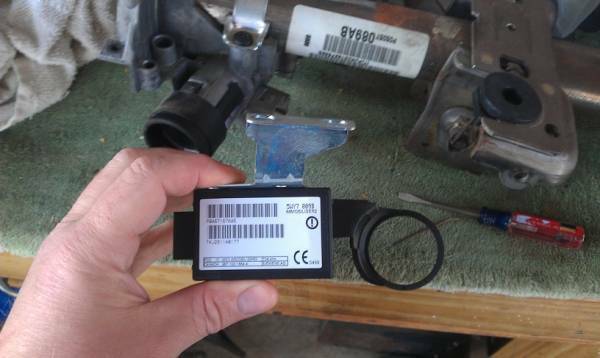 the wife's 2001 has a transponder key, which i had a clone done at acehardware. Cloned keys are fine....One drawback though;To do true PCM programming of extra keys for the vehicle,you will need 2 'differently' chipped keys....Otherwise when you try to program them as listed in the owners manual,the PCM will think you stuck the same key in twice!...And therfore CANCEL the programming sequence(because 1 is obviously a clone of the other...i.e. 'twins').....Also;In order to program a new remote fob,you MUST have 1 remote already programmed for the car,to do the program sequence. Last edited by randyincctx; 11 Jan 2014 at 06:36 pm. i, too, have a black key. PT's not equipped with SKIM module in steering column.....Mine are black also. Hmmm...if only, no ABS, no CANBUS, no SKIM...life is good. There may be a fairly easy answer to eliminate 1st-gen SKIM for no cost. 1. Take your gray key and have some copies made on standard black blanks. 2. Find the immobilizer on the side of your PT's steering column. 3. Remove the immobilizer from the column and use tape or plastic electrical ties to attache your existing gray key to the ring of the immobilizer. 4. Plug the immobilizer back in. But instead of putting it back on the steering column, just hide it inside the dash somewhere. 5. Reassemble the covers on your steering column and use the black keys as normal. A possible issue with this is that the ECM might use the immobilizer to detect if the key is in the ignition. That may make your PT ding and buzz at specific times indicating the key is still in the car. 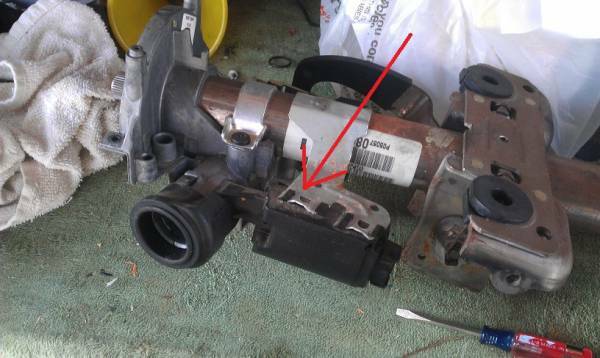 But the ECM likely uses the switch on the bottom of the ignition cylinder, so this may be unlikely. Also, the blanks for the gray keys and the black keys appear to be the same, but I am not possessive and likely won't be until I have some cut. Again, I've not tried this out yet. If anyone tries it, please let me know what happens. Last edited by Handy_Cruiser; 07 Dec 2013 at 11:05 am.